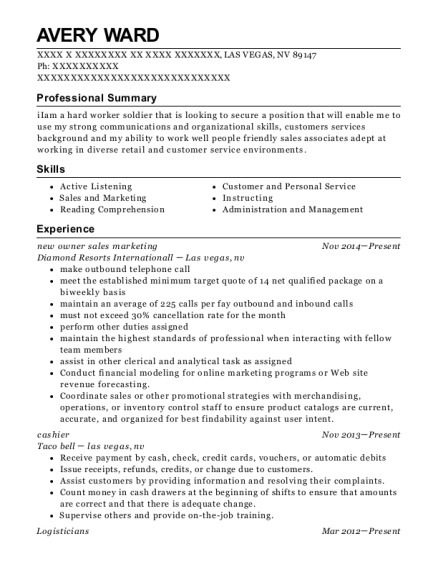 iIam a hard worker soldier that is looking to secure a position that will enable me to use my strong communications and organizational skills, customers services background and my ability to work well people friendly sales associates adept at working in diverse retail and customer service environments. 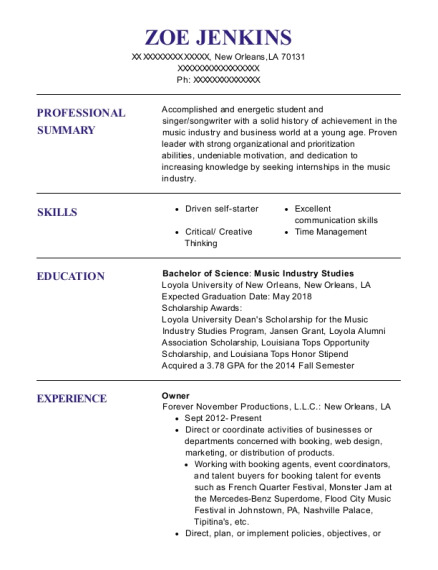 This is a resume for a new owner sales marketing in LAS VEGAS, Nevada with experience working for such companies as Diamond Resorts Internationall and Taco bell. 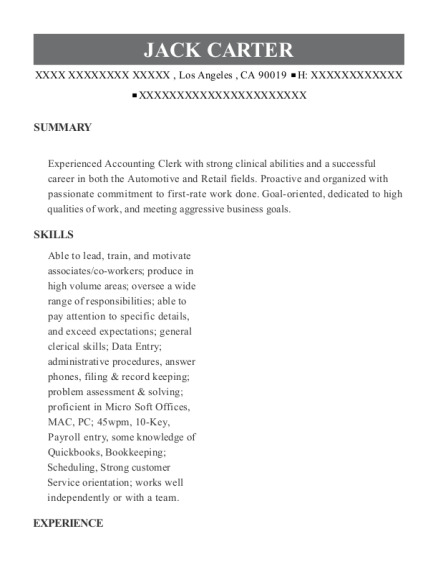 The grade for this resume is 0 and is one of hundreds of new owner sales marketing resumes available on our site for free. 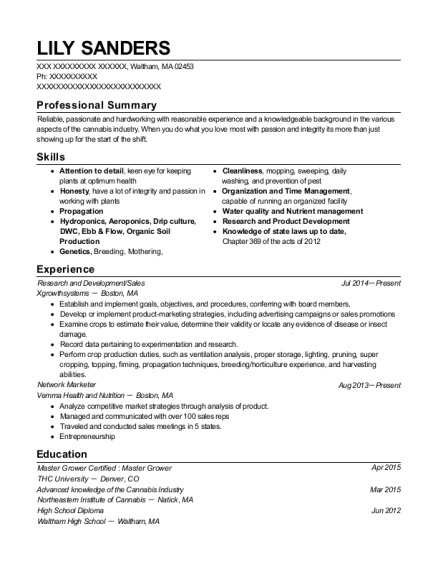 Use these resumes as templates to get help creating the best new owner sales marketing resume.